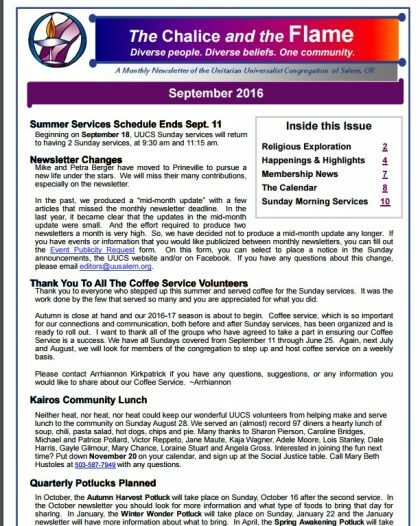 The UUCS newsletter, The Chalice and the Flame, is an important source of information about events, classes, and other items of interest. For easy reference, the descriptions of upcoming Sunday Services appear on the last page. 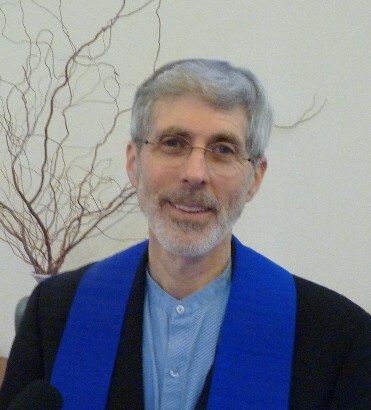 Newsletters also contain messages and musings from our ministers and the Director of Lifespan Religious Exploration. The most recent edition as well as prior issues are available here. Newsletters are in pdf format. You will need Adobe Reader to access them.